For expediency we put together a quick “cheat sheet” below of the top differences and new features in Photoshop CS6 as compared to PS CS5. Naturally if you’re still on CS4, CS3, or earlier, then you’d also need to add in the differences between CS5 vs. those older versions. But really, it’s also a fit and polish thing – with two years since the last major release (and having no architectural challenges to worry about), the Photoshop team had plenty time to hone this into a smooth and polished product. 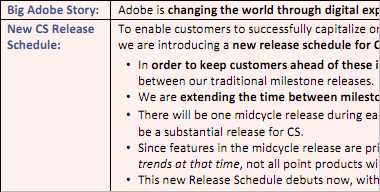 This is reflected in the 62% more new features added in this cycle contrasted to the previous one, and nearly twice as many JDI requests (user-focused “Just Do It” items) addressed. NEWS FLASH – Earlier today Adobe surprised everyone by announcing a free public beta release of the eagerly-anticipated Photoshop CS6… The company has slipped out 8 different sneak peeks of the upcoming product since January – and considering there are now about two months left before CS6 ships, the timing for a beta was right. “The world’s best digital image editing software is about to get even better. 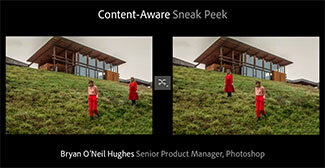 Explore Adobe Photoshop CS6 beta for a sneak preview of some of the incredible performance enhancements, imaging magic, and creativity tools we are working on. 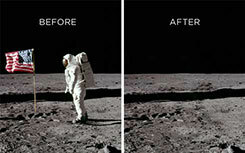 Discover for yourself why Photoshop CS6 will be a whole new experience in digital image editing. This is a release where we took a more proactive stance on architecture, widespread use of the GPU, and a renew­ed emphasis on UI and design. We also took some time to revitalize existing feature areas, increase our focus on quality, productivity, and stability – and of course, continue innovating and incorporating your feedback. 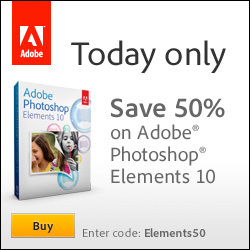 If you like Photoshop and want a free paid trip to Photoshop World plus a CS5.5 suite, check out Adobe’s Next Photoshop Evangelist contest… All you have to do is create and upload a 1-2 minute video demonstrating your favorite “Hidden Gem” in Photoshop CS5. What’s a hidden gem? Essentially, it’s just a lesser-known feature or workflow of the product that you find valuable – perhaps using a function or tool in a way that Adobe didn’t imagine… For some great examples, check out this helpful series of Photoshop Hidden Gems that Adobe produced. The top 5 videos will be selected and voted on, with the winner receiving a $4,000-$6,000 prize package including a trip to the PSW Conference either in Washington, D.C. this spring, or in Las Vegas this fall – plus a full copy of CS5.5 Design Standard. The trip includes roundtrip airfare, lodging, event admission, and spending money – plus meeting Adobe’s Photoshop Product Team personally and the opportunity to demonstrate your hidden gem live at the show. 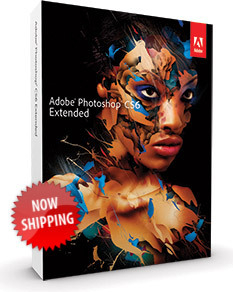 Four runners-up will get a free $1,000 copy of Photoshop CS5 Extended. And in our shop here we save hours every month from using Content Aware Fill as well as other CS5 advancements like Puppet Warp and the improved edge/masking tools. It’s true that it doesn’t always work and of course has its limitations. You can’t synthesize brand new material or hidden content that doesn’t exist in some related form elsewhere in the image. And often it will require some retouching afterwards to get the final result you want.